There are currently 91,744 users on this website. I'm calling this a foreign planchet. 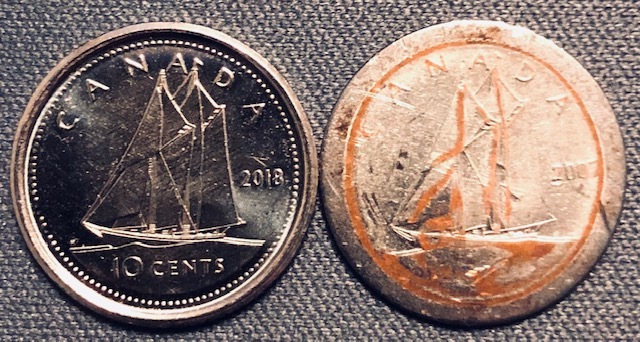 It's very similar to the dime that Canadian-Varieties posted back on page 2 in 2016. 0.13mm below diameter of standard dime. 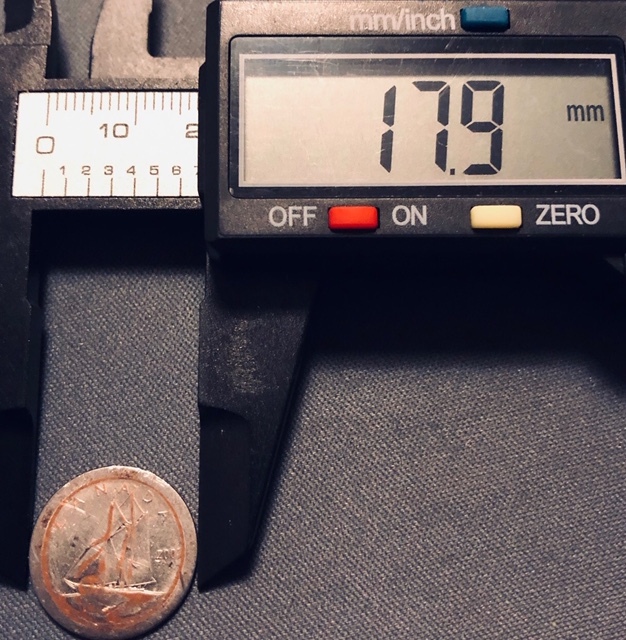 0.42mm below thickness of standard dime, it's whisper thin. 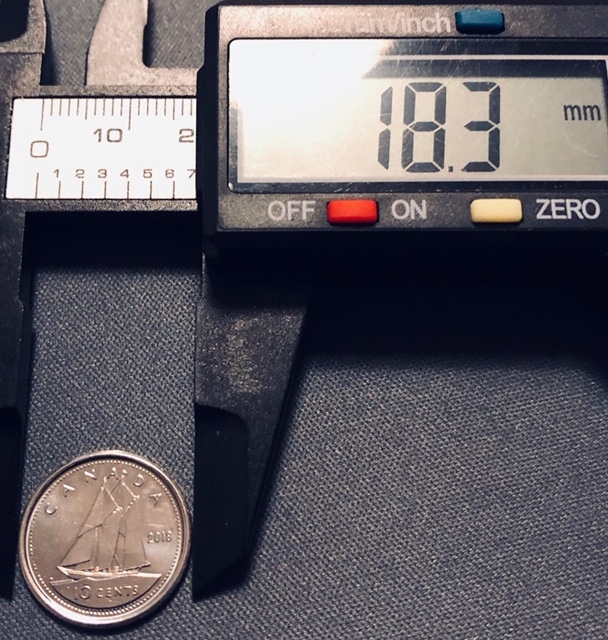 0.15g under weight of standard dime. And it's reeded on the edge. Also magnetic. The cool thing I think is that even though it's smaller than a standard dime, the entire impression still got onto the coin.And the outer ring on both sides has a bluish look to it like it's a different metal. Any thoughts as to should I grade it?, worth? Thanks in advance. Apologies for the pic's, didn't have my big camera handy last night. Are you saying it's smaller than a dime? I would say shrunken coin than? Weird one! It appears to be encased, like some sort of jewelry item, not an error coin at all. Can you take better pictures with a normal dime beside it? What is under the boat? For what it is worth, my vote is for "non error." Here are some better photos of the Dime in question. In photo 3 left side Dime is regular , right side is error Dime . Does anyone see the outer ring has a bluish colour to it? And as you see on the thickness shot, it is reeded. Perhaps Mr. Coop knows what kind of error this is. The closest I can come to a foreign planchet is the 2007 Barbados Ten Cent that the RCM produced, which was made from copper and nickel. Thanks to Johnnysprawl above for providing the link to check this. 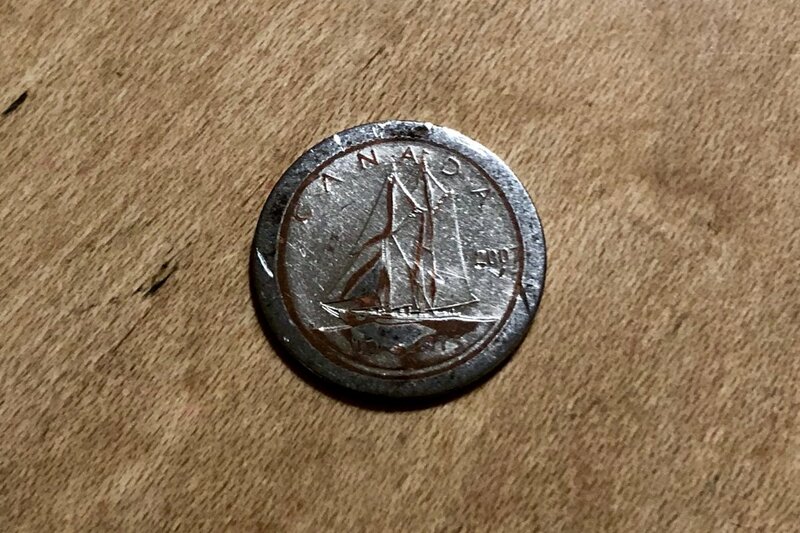 The Barbados Dime had a diameter of 17.8mm, my Canadian Dime above is 17.9mm and it looks like copper under the surface. Other than that, it's for sure a thinned planchet, as it's 0.66 grams underweight compared to the Barbados Dime. 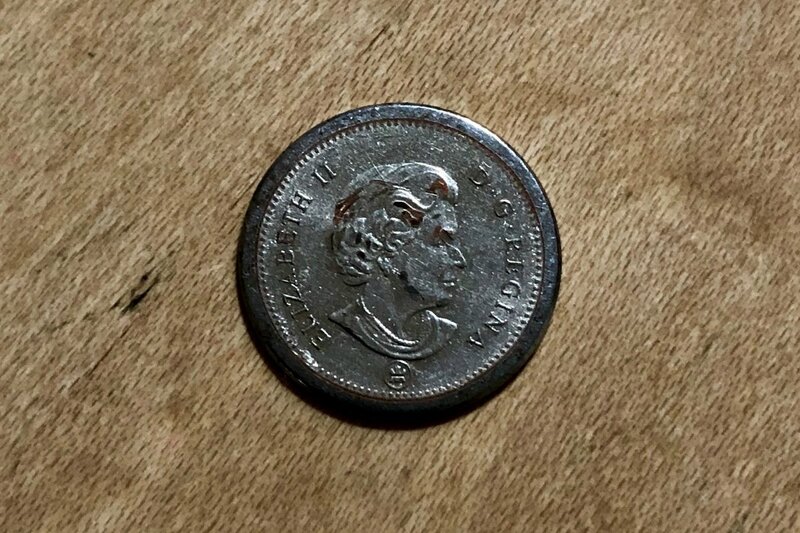 In your edge on photo the dime in question appears to be larger in diameter. 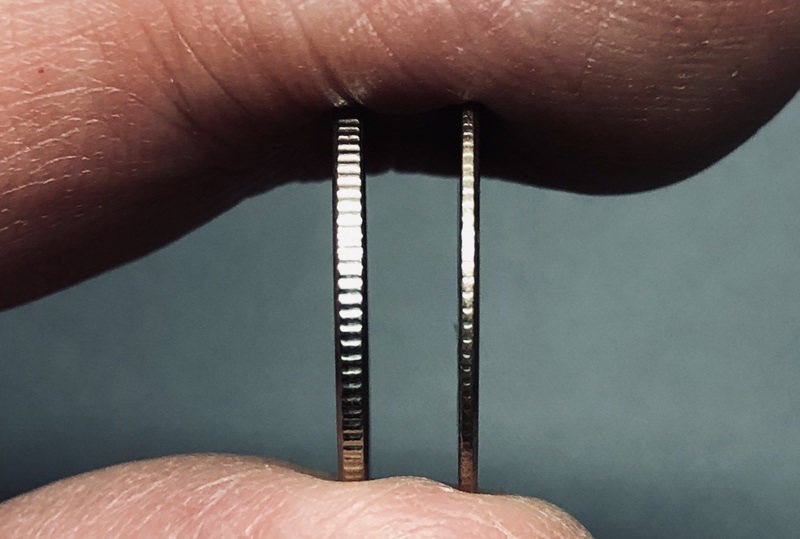 Can you post side by side pics and/or pics of one coin on top of the other? Can't possibly be Barbados dime as that coin is cupro-nickel an alloy not a plating. Abused Canadian nickelplated steel dimes can have the copper plating layer show through as on your coin. Hi DBM, here you go. To get a shot of one on top of the other to show it is quite hard as there is almost no difference. So I have these pictures instead. Even the notching on the reeded edges is different on both of the dimes. Can't be a flattened rim the whole thing is still smaller than a normal dime in roundness. I don't understand how that can be because the die comes in one size.